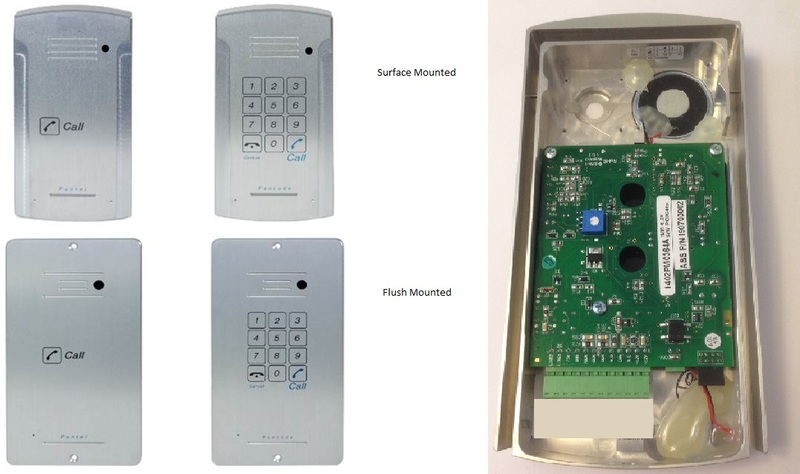 Pancode Aluminium SURFACE mounted door access unit (FULL KEYPAD) allows for Visitors to speak to internal extensions and for staff receiving the call from the Visitor to choose to release the door lock by entering a pin number into their telephone keypad. It also allows for Staff to gain access by entering a PIN Code at the door using the numeric keypad on the unit. This system connects to any existing telephone exchange (PBX) or analogue phone or VOIP Analogue Terminal Adapter and allows two way speech between the visitor and any programmed extension, plus the operation of any connected door release using DTMF signalling from the PBX.  12V Relay to release door lock.  Flush & surface versions available - This is the Surface Mount Option.